Imagine a wheat bag that strapped around your waist and never needed re heating?? Better yet – it also sleekly fits under all clothing. 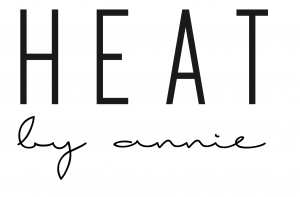 You don’t have to imagine it anymore ladies, HEAT BY ANNIE has arrived and is literally the answer to all of your prayers. No wires, batteries or re heating required – EVER! These belts are made from magnetic materials and can take up to 20 minutes to heat once they come in contact with your skin. Magnetic therapy assists the body in blood circulation, inflammation, relaxation, pain relief and more! These belts can begin to get very hot so please ensure you use the belts safely and give you and your skin a wee break when the heat gets too much, use your belt responsibly. Your heat belt also comes with a small cotton bag to help with easy storage and safe keeping! If you have soft tissue impairment, high blood pressure or damaged skin please seek medical advice before usage. If you are pregnant, have a heart pacemaker, metal stent or any other internal electronic device please do not use this belt.